Mix or Shake 1 Scoop of PRECharge™ with 1 cup (240 ml) of cold water. Take 1 to 2 Servings daily. ALLERGEN WARNING: Contains Coconut. Produced in a facility that also handles Milk, Soy, and Peanut products. This product has a tamper evident neckband for your protection. Do not use if the neckband is missing or broken. Not recommended for children, pregnant or lactating women. If you are taking prescription medication including anticoagulant agents, anti-inflammatory agents, or have a pre-existing medical condition including diabetes or before having surgery, consult your health care practitioner before taking this product. Store in a cool, dry place. Keep out of reach of children. 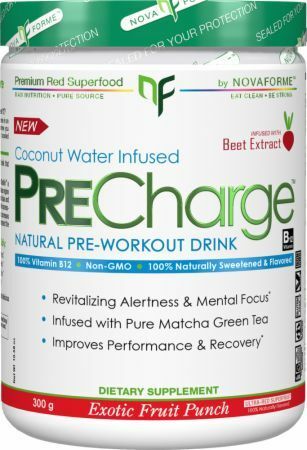 Could PRECHARGE be the Healthiest ENERGY DRINK the world has ever seen? In today’s hectic world, who doesn’t want more energy? 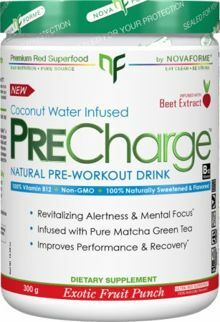 Imagine if there was a delicious all-natural drink that came in an easy-to-mix powder that you could take before you play, work or train and that actually boosted performance… Now, finally there is!